Thailand, formerly known as Siam, also has a rich martial-arts history. unfortunately, a terrible fire during the 17th century destroyed most of its historical records, obliterating reliable accounts of the origins of Thai martial arts. The modern arts of Muay Thai (pp. 185-186) and Krabi Krabong (p. 176) can trace their origins at least as far back as the loss of those records; they likely go back much farther. Another style - now lost - emphasized stealth, subterfuge, and survival techniques. It was taught to a sect of monks who might have filled a ninja-like role for the Siamese kings. 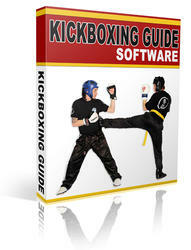 Today, Muay Thai and Krabi Krabong are the most prominent Thai martial arts. Muay Thai is a form of kickboxing, world-renowned for its tough training and tougher competition. Krabi Krabong is an armed style. Originally a combat form, it's now primarily a sport.